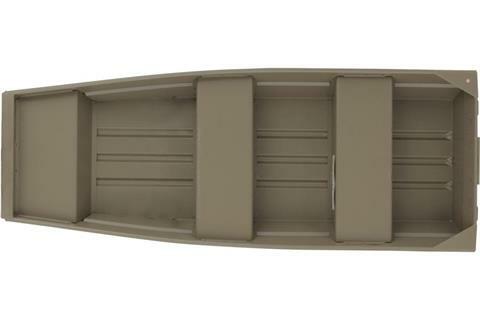 At a lightweight 87 lbs., the TRACKER® Topper 1032 jon boat is easy to transport on top of a car or in a truck bed—and it can still fish 2 people! 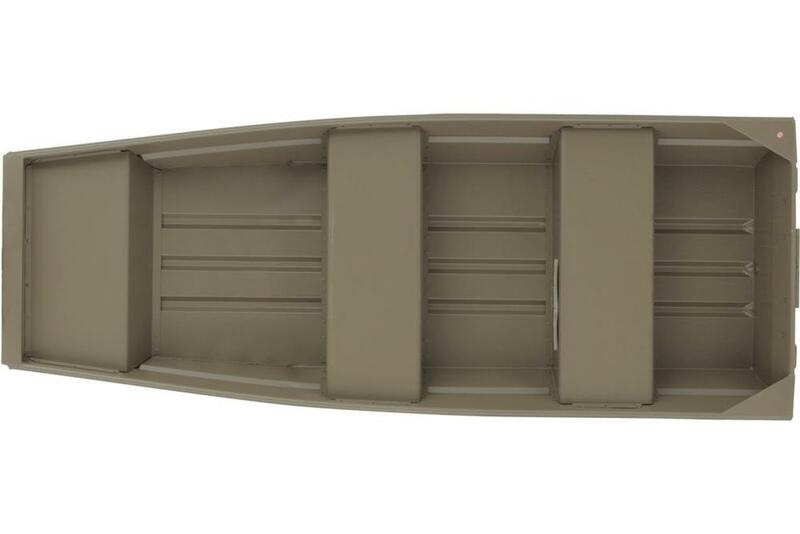 Crafted from a rugged 5052 aluminum alloy, this 10' aluminum boat is backed by a 3-year structural limited warranty, ensuring the quality TRACKER is known for. 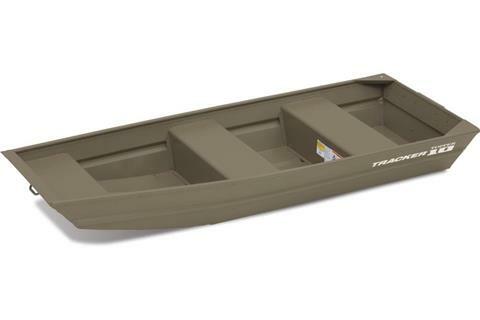 This rugged, compact boat is reinforced with pressed-in longitudinal corrugation, corner transom braces, under-seat foam for flotation and a durable powder-coat finish. As our lightest and most economical flat-bottom jon boat, the Topper 1032 will provide years of fun and convenient fishing! An optional trailer is available.